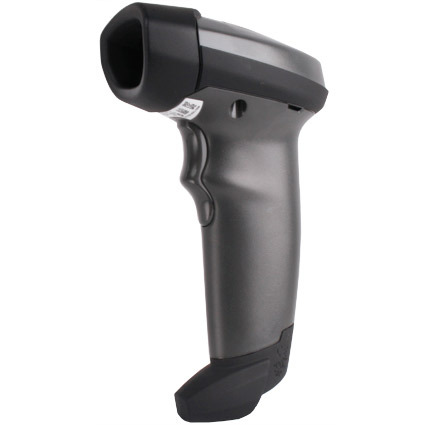 The LI2208 and LS2208 are both very good, very popular 1D barcode scanners. They are fairly similar scanners in many ways, which can make it difficult to determine which is better suited to your needs. The following video goes over the differences between the Zebra (still branded as Symbol) LI2208 and LS2208, and is designed help choose which scanner is best for your business. Scan Range 3" - 28" 0" - 26"
Hi, this is Jasmine from POSMicro.com, and today we're going to be looking at Zebra LI2208 and the LS2208. These scanners are now Zebra scanners, they are still branded as Symbol scanners, Zebra did buy Symbol, so you're going to see that they still say Symbol on them, and this older one here that we have does actually still say Motorola because it once was also Motorola. The LI that we have here is in the white color, it is available in this grey color as well. And you can see the LI is a linear imager, so the beam is a little bit wider, and it is this fixed width. The LS is a laser scanner, so you can see the beam is much narrower, it is a laser, and it is configurable, so you can change how wide the beam is. In terms of scan ability, the LI is a little bit better than the LS. You can see it scans really quickly. The LS does too. So in terms of scan range, the LI goes from about 2 or 3 inches, which is pretty standard for a linear imager scan range, to about 26 or so inches. The LS can scan a bit closer, so you can see it's almost contact, very close, and it can go back not quite as far, maybe about 24 or so inches. But they're pretty similar in terms of distance away. In terms of scanning faded barcodes, the LI is a lot better at that. So it can scan even the most faded barcodes we have here. The LS does struggle a bit more with the faded barcodes, it has a lot harder of a time even reading this one here. The LI is also a bit better at scanning damaged barcodes, so this is just a wrinkled barcode, it has no problems with that. This pretty heavily damaged barcode, it has a bit harder of a time with, but not too bad. The LS can read the wrinkled barcode okay, and the heavily damaged barcode it can read, but it definitely has a harder time with it. In terms of scanning under bright light, the LI doesn't have any problems with that, it scans just fine under the direct bright light. The LS can't really do it. In addition, the LI can scan off of screens, so it scans pretty well off of screens. The LS is not able to scan off of screens. So both the LI and the LS have an autosensing stand, so when you put them in the stand they go into this auto scanning mode, and when you take them out of the stand they automatically go back into trigger mode. And these stands are both gooseneck stands, so they're both adjustable so you can change where the beam is aimed. Overall, the LI2208 is a bit more expensive than the LS2208. Depending on whether you get it with the stand and the cables and things like that, it's going to be somewhere between 15 and 25 dollars more. That being said, it is a lot better at scanning kind of your non-standard barcodes, so your damaged barcodes, the faded ones, it does scan really well in bright light, and it does have a bit better of a drop spec, it has a 6 foot drop spec instead of a 5 foot drop spec, so it is a bit more durable. 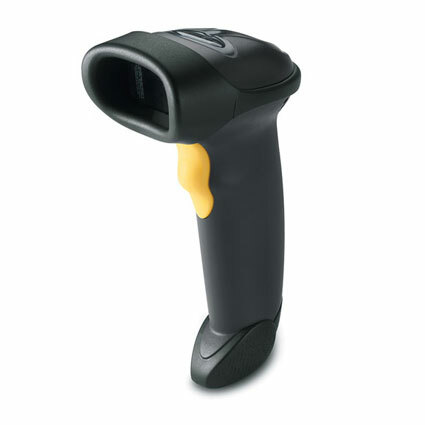 But the LS2208 is a really good scanner, we do sell a ton of them, it's very popular. If you're looking for a laser scanner, it's one of the best out there, especially for the price. Both of these scanners do come with a 5 year warranty. For more information, or to purchase, please visit us at POSMicro.com. Thanks!